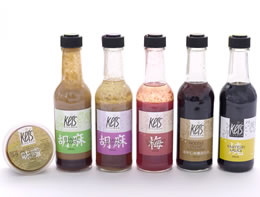 Our Kei’s Kitchen handmade Dressings and Sauces are available online here. Minimum purchase is $30, excluding delivery costs. $10 flat rate for postage. We post within Australia only. No intergalactic sales, yet. Just go to the Shop and add your desired products to the cart. Don’t forget to pay for postage. The Shopping Cart appears at the bottom of the page and also in the Shopping Cart page. Please pay using your PayPal account, and please make sure you fill in your shipping address and phone number. We will ship your order within 72 hours, usually 24. Delivery by Australia Post ($10) only. Please provide a contact phone number in case we need to call you. We cannot process any orders unless they have been paid for. Any questions, please email. If you change your mind about your order, don’t worry, we refund, no questions asked.